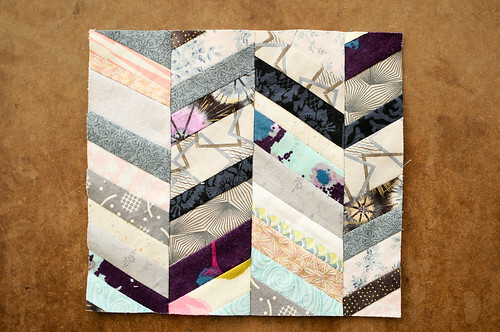 I was thinking about herringbone the other day and wanted to see what it would look like in patchwork. I’m going to try some more, but I’m liking this idea a lot! This version is very random, but perhaps more organized and with high contrast fabrics, next time? This block is still a work in progress. We’ll see where it goes next. 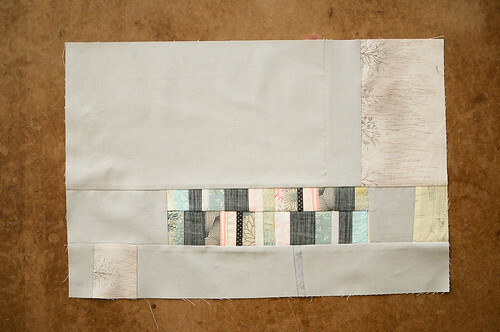 I very rarely plan much when I sew improv patchwork. I know that some people will draw sketches beforehand. But I really like to just see what happens. Sometimes when I set out to create something specific, something totally different will happen. Like the last block, for instance. That was not even close to what I was trying to do, but sometimes you just have to listen to what the fabric tells you to do. There are so many happy surprises with improv. I love that herringbone pattern! 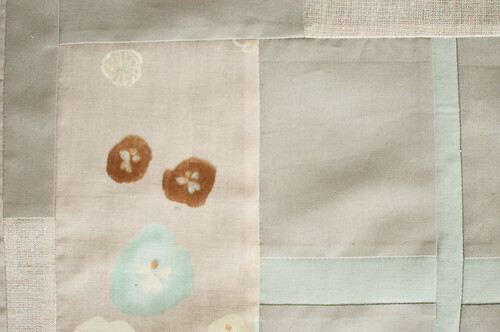 Such elegant colors and textiles, I’m jealous! I always admire people like you who work in subdued tones, but I can only work with very vivid colors! Beautiful blog, congratulations. 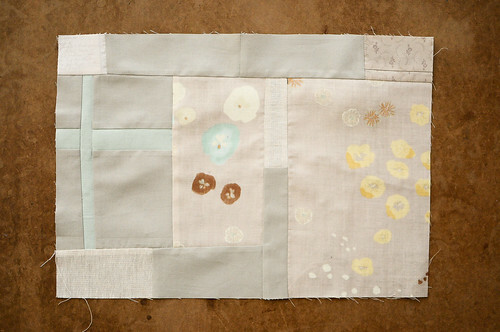 all of your work is so beautiful – and featuring my favorite nani iro pattern, too! Love your fabric choices! Very calming. I’m amazed at those who can create things as they sew. I’m more of a planner. 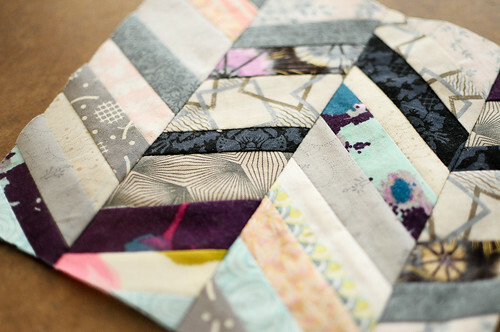 That herringbone block is stunning. And I like that it’s not really literal, with highly contrasting fabrics. There is a lovely, subtle movement in the block that really works. 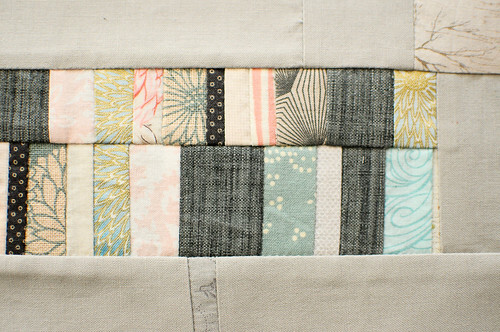 A quilt made like this would be fantastic! I love the Herringbone. Is it very difficult to do neatly? I haven’t tried it yet! Karyn, the herringbone block is genius. I love it. Keep on improvising…I always work best that way too.